Laura Krauthausen and Konstantin Laschkow demonstrate that digitalisation facilitates innovations even in a traditional craftsmanship like knitting. The Berlin label CASE STUDIES has been using the innovative technology of ‘Digital Crafting’ for its fashion and textile collections since its beginnings in 2015. We asked the founders what the term means precisely and how the idea emerged. Could you describe what the term Digital Crafting is all about? By Digital Crafting, we mean the dialogue between digital design processes, technical feasibility and the result, which is in our case the knitted textile piece. Digital design on the screen, for example by incorporating algorithms, has initially nothing to do with the technical conditions of knitting, but it opens up completely different options regarding design and visualisation. Knitting remains a mechanic procedure; it involves technical skills about bindings, yarns and tensile forces. In order to make an association between the two sides, one looks for common denominators and criteria. Transferring the design from the screen to the actual knitted piece can be easily implemented on a technical level, however, the aesthetic outcome is hard to predict. When we think about colour perception, we can realise how we change colour spaces. For instance, there are colour harmonies that seem promising in RGB, but then suddenly evoke odd associations on the actual knitted material. Therefore, a reality check must always be performed throughout the digital design process. We love this kind of ping-pong, as it keeps us experimenting and experiencing random results. How did you get the idea of implementing this technology? Towards the end of our studies, we were looking for a way of removing specified limitations on knitwear design. The idea is to further use classic techniques like Jacquard. The digital process helps to edit the draft in such a way that we can create subtle colour shades, colour gradients and distinct spherical patterns using as little yarn as possible. We realised quickly that by interlocking digital x crafts, we could open up a whole new world of possibilities. As a result, we decided to establish a product line and set up our own label on a joint basis. How and when was the CASE STUDIES label established? Before we launched our first collection in 2015, we were performing a lot of experiments and developments with a lead time of 2 years. We took the time to learn how to operate and programme industrial knitting machines and from time to time to exhaust the technological possibilities. Only in this way, we were able to develop a compelling product we regard as something special and unique. Why is Berlin the right place for CASE STUDIES? The city is still attracting creative people and artists from all over the world to live and work here. This situation provides much input and inspiration for our work, and we need these permanent creative impulses in the background. However, we also note with concern the many changes taking place in the city, such as rising rents. Such developments are able to destroy the creative potential. 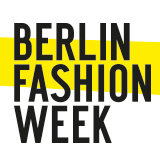 As young designers, we also wish to get more support from the federal state of Berlin. Other countries are much more advanced in this regard. Berlin and its image depends on creative people – a fact which should be taken stronger into account by politicians. A small outlook: What are your plans for the future? During the first years after the label was founded, we designed fashion and accessories for women and men. Yet, in the course of time, the desire to give more room and context to patterns on our side and on the part of our customers increased. In the field of interior design, the effect of our colour palettes on large surfaces is quite different. We have so many exciting ideas we would like to implement in addition to the fashion sector. We see ourselves more and more as a textile studio and thus work on developing more seasonally independent editions. Thanks to Laura Krauthausen and Konstantin Laschkow for this written interview. The Berlin label CASE STUDIES has been using the innovative technology of 'Digital Crafting' for its fashion and textile collections since its beginnings in 2015.